All sessions will take place in my home studio. Preconsultation of all session details and policies via email or phone. 14 days of online gallery viewing of all session proofs. $50 charge to reactivate online gallery after 14 days. Digital Negatives and prints are NOT included in the session fee. These can be purchased separately. Please contact me if you would like to see a detailed product list. The average client spends approximately $700 - $1200 (This includes the $200 session fee). The session fee is due at the time of booking. Your time slot will not be reserved until I receive the session fee and signed contract. Only offered with a booked Newborn session. Up to 1 hour of studio session time centered around the expectant mother and immediate family. 5 + fully edited images included in the session fee. 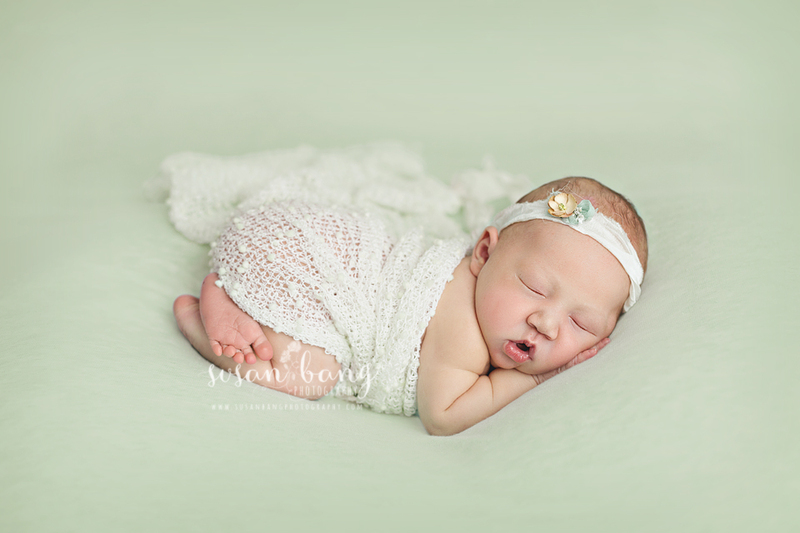 2-3 hours of studio session time centered around the Newborn baby with additional poses with parents / siblings. All images fully edited for viewing in your online gallery. Only offered to Newborn session clients. Up to 1 hour of studio session time. All images fully for viewing in your online gallery.